Beleaguered north India-based public-listed real estate developer Unitech Ltd has once again found itself in a tight spot as a group of investors, who had participated in a fixed deposit scheme offered by the developer, has approached National Company Law Tribunal (NCLT) to get refund of their investments along with interest and penalty. The Hindu BusinessLine reported that the investors have asked for payment of double the deposited amount and an interest of 20% per annum till the case comes to a closure. The move comes after the realty company failed to pay Rs 30 crore to depositors as per the order of the Company Law Board (CLB). The CLB then asked the depositors to take appropriate legal recourse. The latest appeal has been signed by 41 investors and asks the authority to pronounce maximum fine and even imprisonment to the accountable officials of the company. In response to the petition, NCLT said that it cannot remain a mute spectator to the grievances and harassment of scores of investors. It has summoned the whole-time directors and managing director of the company now, the report said. Troubles have been mounting for the developer as a slew of home buyers and investors has filed cases of cheating and fraud lately. Early this year, a Delhi court had sent Unitech chairman Ramesh Chandra and two managing directors to 14-day judicial custody in alleged cheating cases filed by two investors. 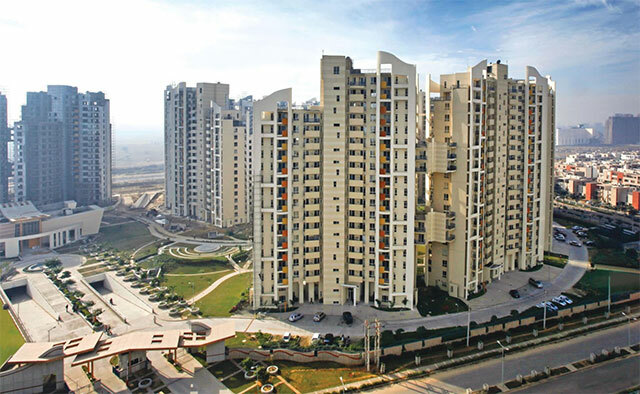 The complaint was filed by chartered accountant Sanjay Kalra and his business partner Devesh Wadhwa who had claimed to have booked a property in Habitat Apartments in Greater Noida developed by Unitech but were not given possession. Moreover, the fortunes of the company have been on a downhill as its market capitalisation has eroded significantly and its financials show no signs of improvement. It has been reporting consolidated net loss from last five consecutive quarters and has stayed away from launching any new inventory in the market. Unitech's scrip was trading at Rs 6.26 per share, down 0.48 per cent at 11 am on BSE in a strong Mumbai market.